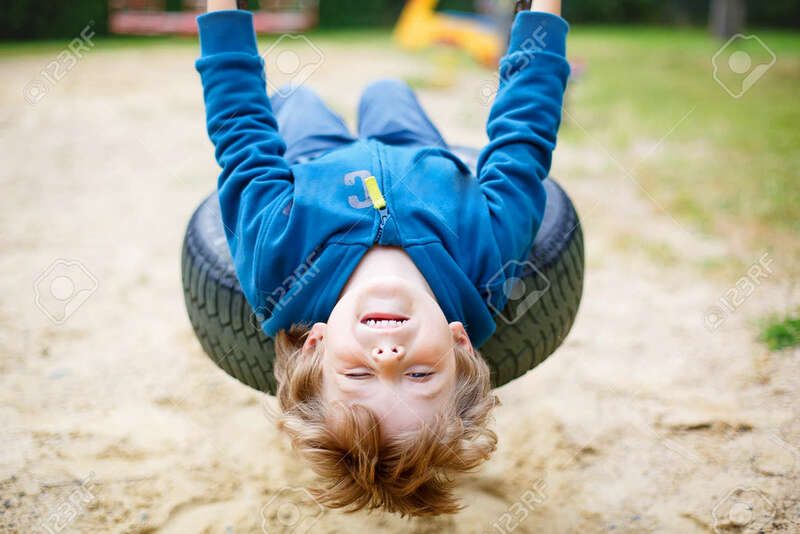 Funny Happy Preschool Kid Boy Having Fun Chain Swing On Outdoor Playground. Child Swinging On Warm Sunny Summer Day. Active Leisure With Kids. Family, Lifestyle, Summer Concept Royalty Free Fotografie A Reklamní Fotografie. Image 47230746.